Place 3-4 halves of the fritter on top of the cheese slice and close with another bread slice. Toast until Crisp. Serve Warm with Sauce. hey that is a cool idea there Priya. Thanks for sending! That is a lovely sandwich!! superb..
Love the sandwich. 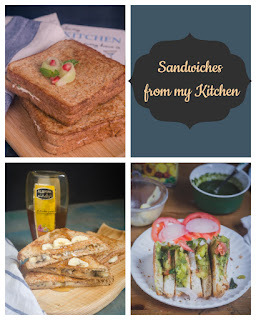 Will make these specially for sandwich. Thanks.